This week you may have heard that the chair of Classics at the University of Winnipeg teamed up with Barn Hammer Brewing to re-create an ancient beer recipe that dates back two thousand years ago. Unfortunately the beer won’t ever be available for public consumption but they described the 4th century ancient Egyptian beer as being too sour, as the ancient recipe called for being brewed with baked sourdough bread originally. I’ve had the pleasure of trying out beers that were created from recipes from decades past, and even centuries past. The one thing I’ve learned is that a light beer in the 1890s would be considered a hefty brown ale in this generation. 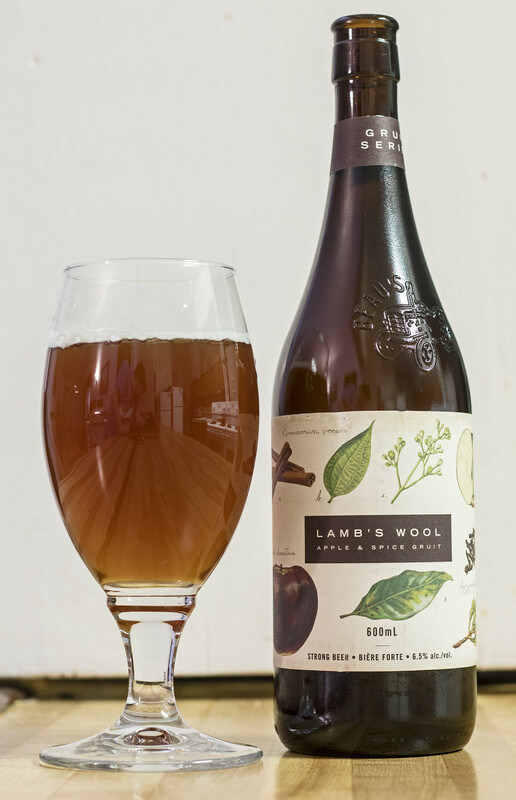 This week’s edition of First Draught is a take on an ancient-style non-hopped beer called Lamb’s Wool Apple & Spice Gruit by my favourite organic brewery, Beau’s All Natural Brewing out of Vankleek Hill, Ontario. Keystone Motor Inn just off of 18th Street & Brandon Avenue is now carrying seasonal Beau’s products including Lamb’s Wool Gruit and Kissmeyer Nordic Pale Ale. 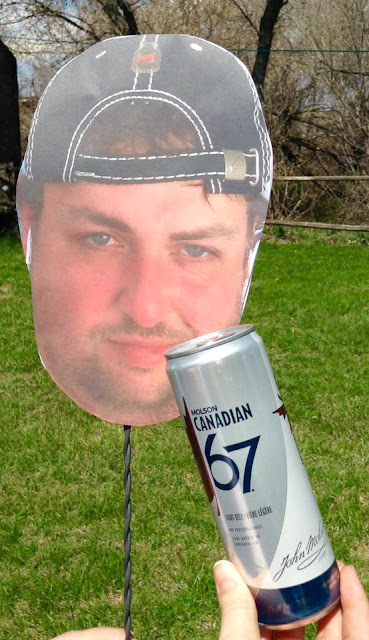 Beau’s All Natural Brewing is attempting to get a foothold in the best beer vendors in the province, so if beers like Kissmeyer and Lamb’s Wool do well here in Brandon, you will likely see more Beau’s products at vendors like the Keystone Motor Inn. Lamb’s Wool Gruit was one of the beers featured at Prairie Firehouse’s pairing event last month, so it’s great to see the beer back again! Let’s go back to talking about ancient styles of beers: Gruit is a style of beer that dates as far back as the 10th century in a region that now encompasses Netherlands, Belgium and Germany. The style was traditionally brewed without any hops as they were rare to find at the time, so breweries would use a medley of various herbs such as heather, ivy, rosemary and gale alongside a mixture of fruits to give the beverage a great tasting presence that was just as good as a hopped beer at the time. Beau’s is the leader in Gruits in the world to the point that they created an International Gruit Day this past February with 61 other breweries, including Winnipeg’s own Torque Brewing. 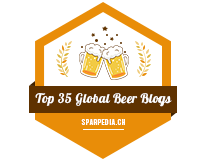 So these 61 breweries from all over the world came up with their own Gruit recipes for this one-day event. Lamb’s Wool was created as Beau’s contribution to Gruit Day this year. When I first looked at the label, I noticed that the beer was an apple and spiced Gruit. As you have seen here before, I’ve never been a huge fan of apple-based beers, ciders or meads.. but sometimes I have to just go on and review more beverages until I like the taste! Lamb’s Wool pours a cloudy caramel-amber ale with a light amount of beige head on it, and a decent amount of micro-carbonation in the body. I’ve had a few Gruits in the past and they were generally funky and smelled/tasted more like as if you were making a forest-based concoction than a beer, so Lamb’s Wool is a welcome change - the notes I get from this Gruit are apple, cinnamon, nutmeg, brown sugar, and a herbal hint of mint at the end. I could easily describe this as a fresh baked apple pie as a beer, so far! The flavour of the Gruit is more what I’m used to for the style - it’s not quite as sweet and pie-like as the aroma, so instead it’s more of an herbal spiced drink with a hint of lightly soured green apples with a presence of caramel, cinnamon, clove and a light fresh bun-like breadiness from the malt. If you are thinking of getting a ticket to Brandon Beer Festival, the organizers have told me that you should purchase tickets soon as they have already sold a record number of tickets in a shorter period of time! Westman’s own Farmery Brewery will be making an appearance, as well as breweries from all over the country! Tickets are only $30 and available at all Liquor Marts in Brandon.